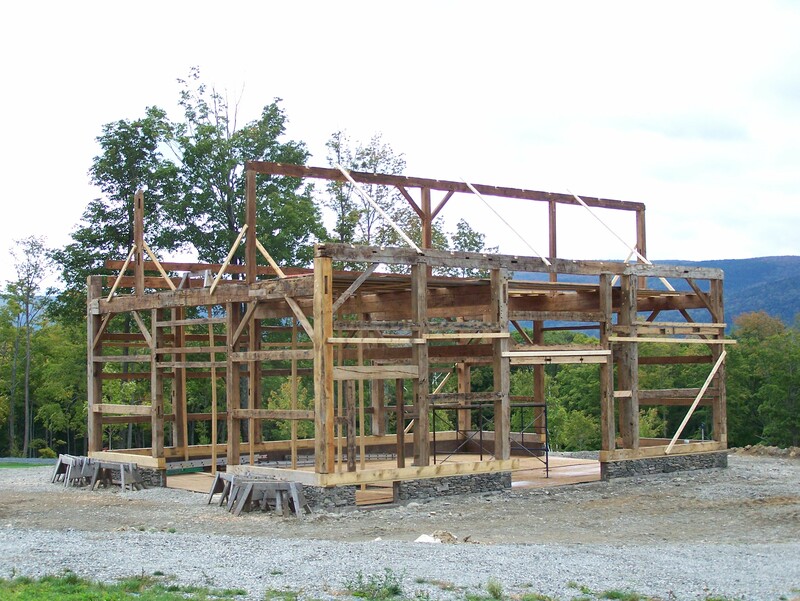 Timber Framing: Captured on Video! 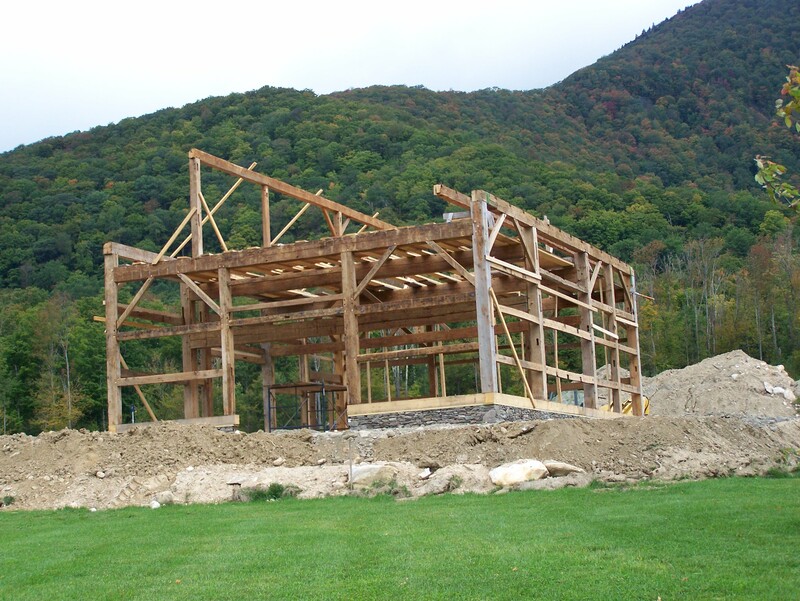 Green Mountain Timber Frames is now of video! But before I show you the video, let’s take a look at this before and after shot. 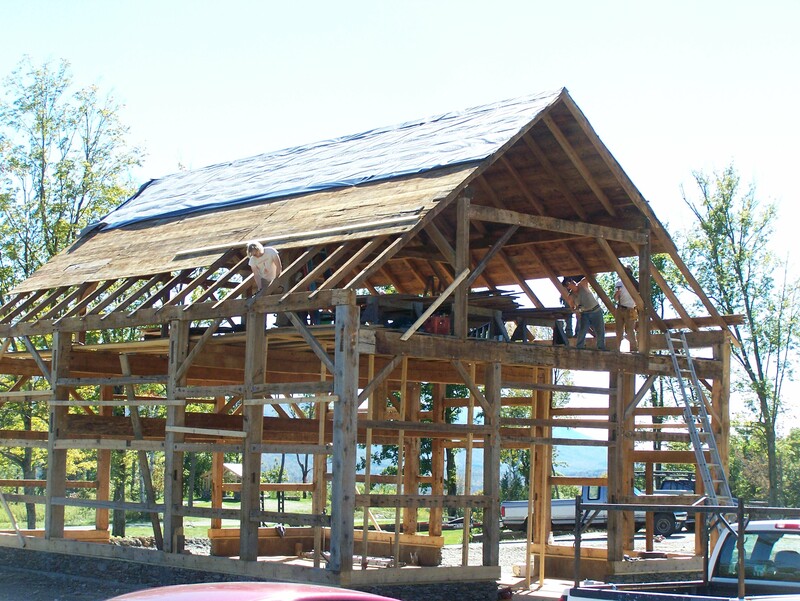 You may remember back in 2013 when I wrote a few times about the timber frame we had restored and erected up at Sissy’s Kitchen in Middletown Springs. 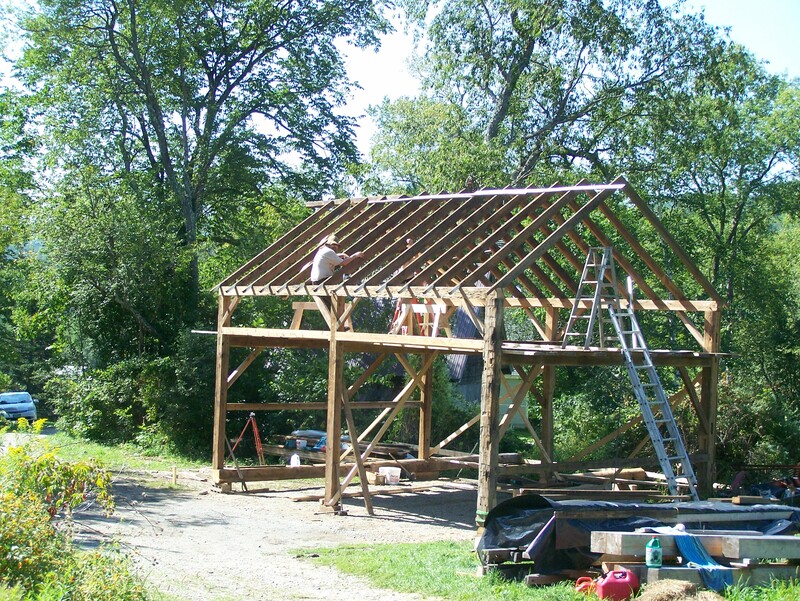 A gunstock timber frame, it was built over 250 years ago. 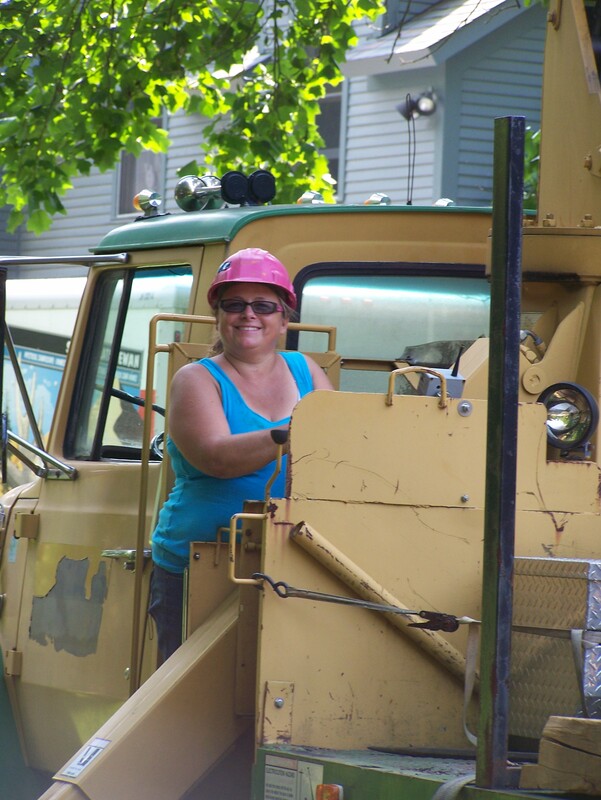 For this project, we erected the restored frame with help of the one and only Vermont Jeepgirl (otherwise known as Crane Operator extraordinaire, Sue Miller.) Luckily for us, she made a video recording of the raising day! Hats off to Sue for capturing our madness! It was a great crew that worked on this frame. Here we are, standing proud in front of the restored timbers. 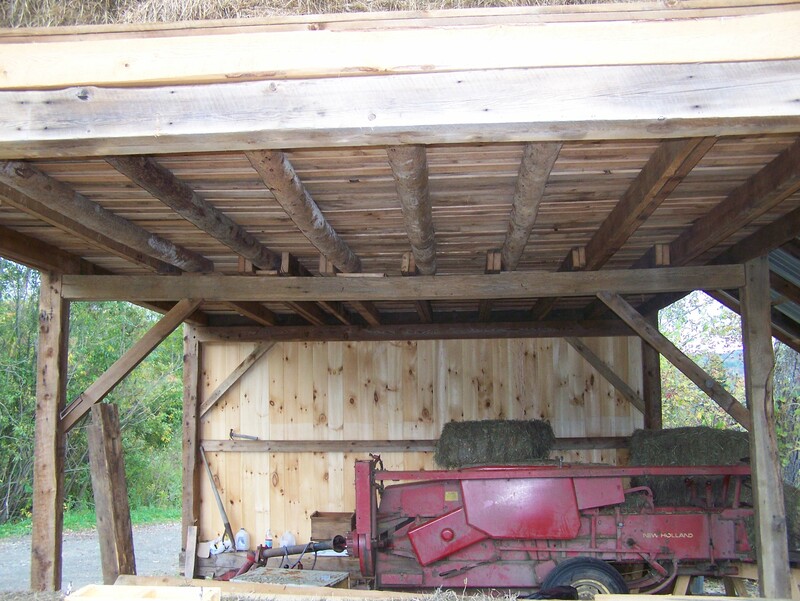 This frame – even before it became a new storage barn – saw a lot of good times! 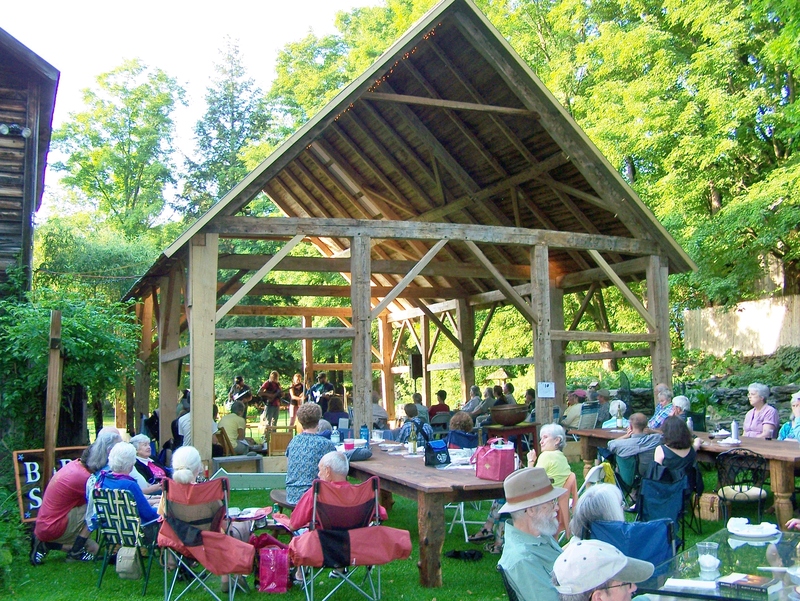 For a couple months, the erected frame stood on the beautiful lawn behind Sissy’s Kitchen in Middletown Springs, Vermont. 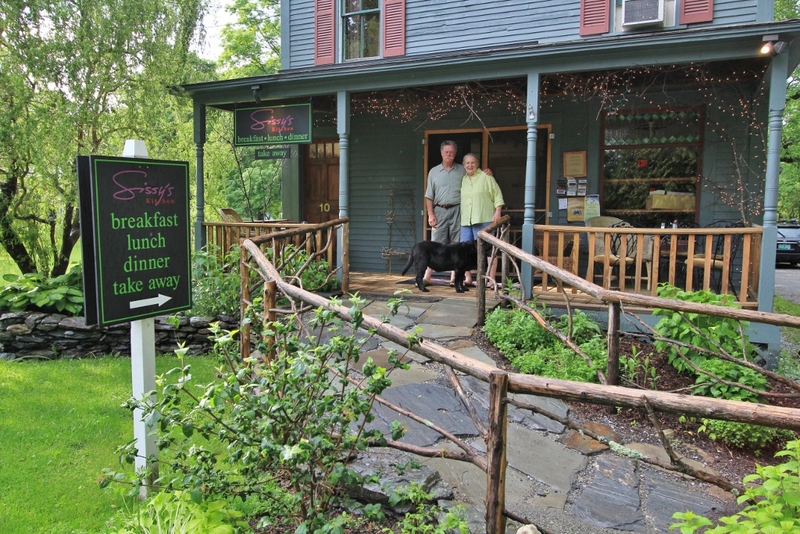 While we waited for the right buyer, the frame housed many a dinner party and afternoon tea, just around the corner from the workshop of Green Mountain Timber Frames. I want to send out a huge thank you again to Sissy for letting us have all this fun, right in her yard! 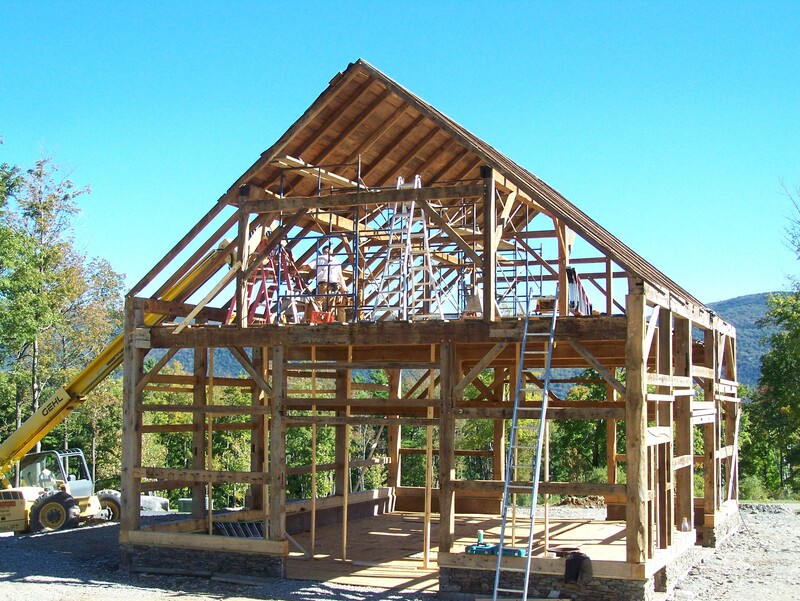 Have more timber frame projects worth capturing on video? Let us know! We would like to hear from you! 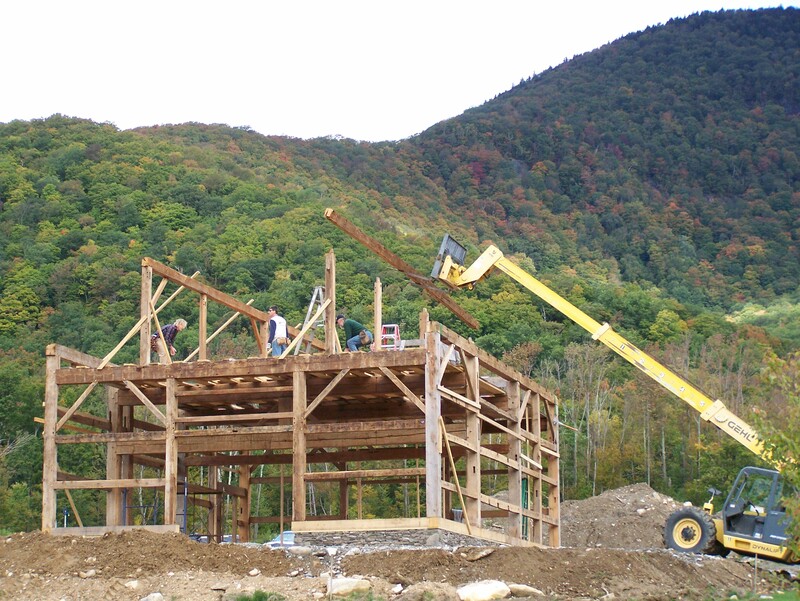 An Old Fashioned Barn Raising! 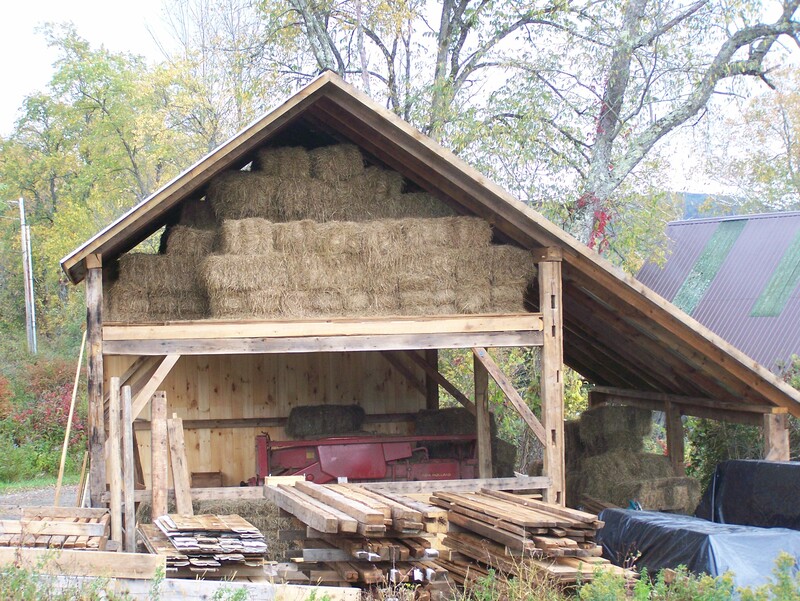 Because it’s time for a barn raising. 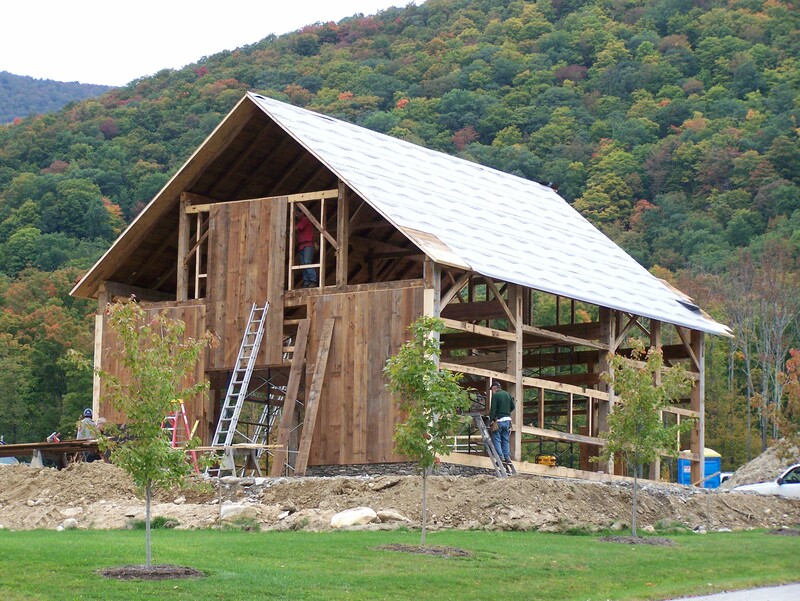 On Monday, September 23rd, amid the bright backdrop of Vermont autumn foliage, we’ll be tipping up this beauty of a barn in Manchester, VT. 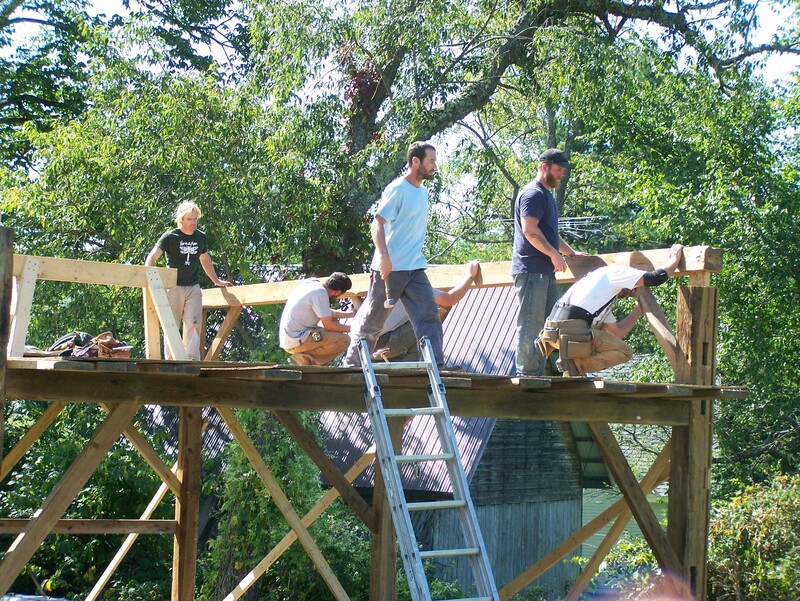 Originally built around 1800, in Middle Granville, New York, Green Mountain Timber Frames has restored this post and beam gem and will be erecting it on Monday in its new location in Manchester, Vermont! 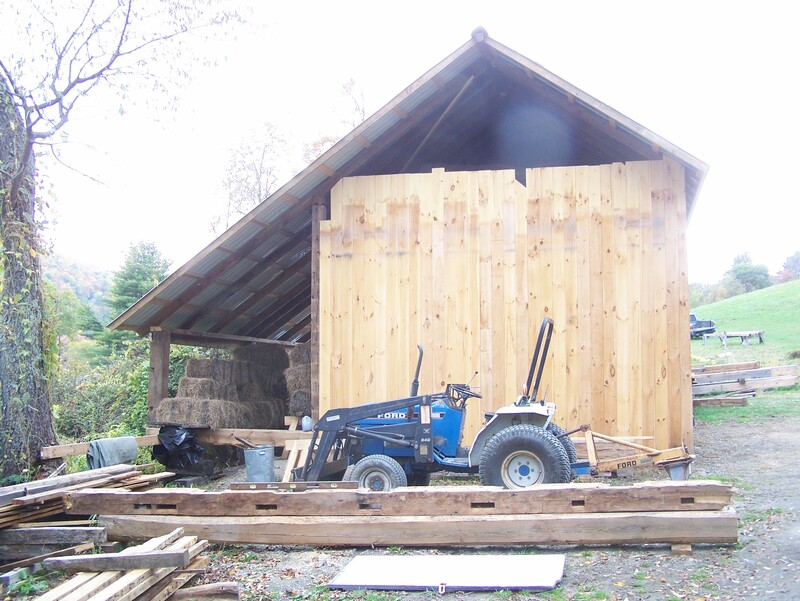 We headed to Middle Granville, New York to carefully dismantle the original barn piece by piece a couple of years ago. 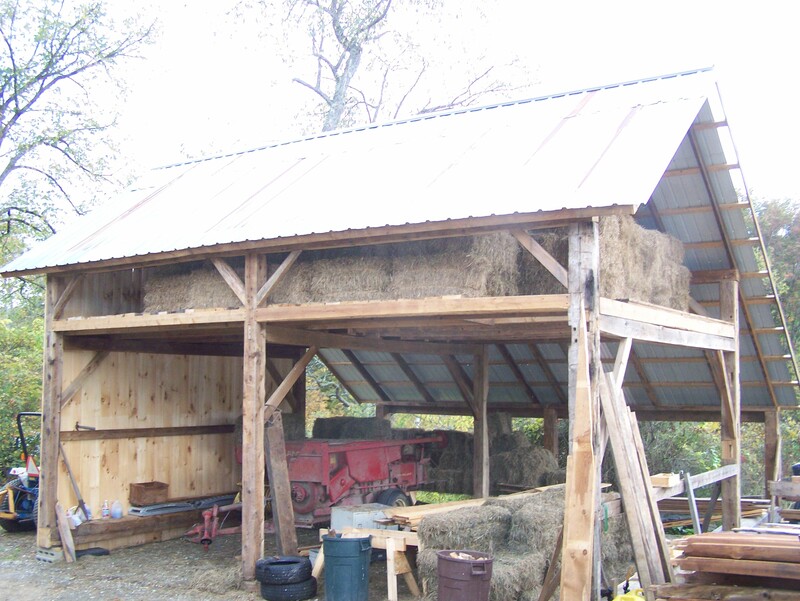 The original barn frame measured 31′ x 51’, but we have shortened it to 41 feet in length, per the request of new owners. 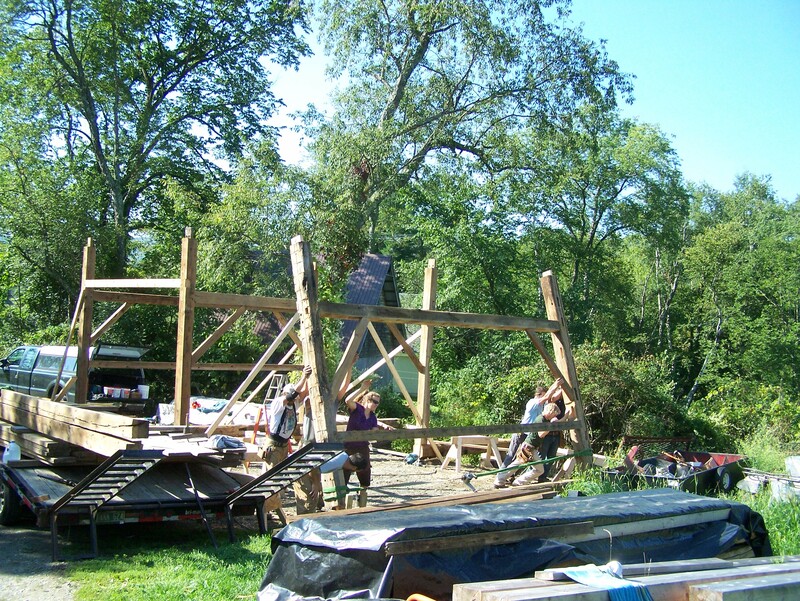 In the photo below, you can see the process we went through to carefully adjust most of the beams. We added in tie timbers where the windows will be placed in the new barn garage. 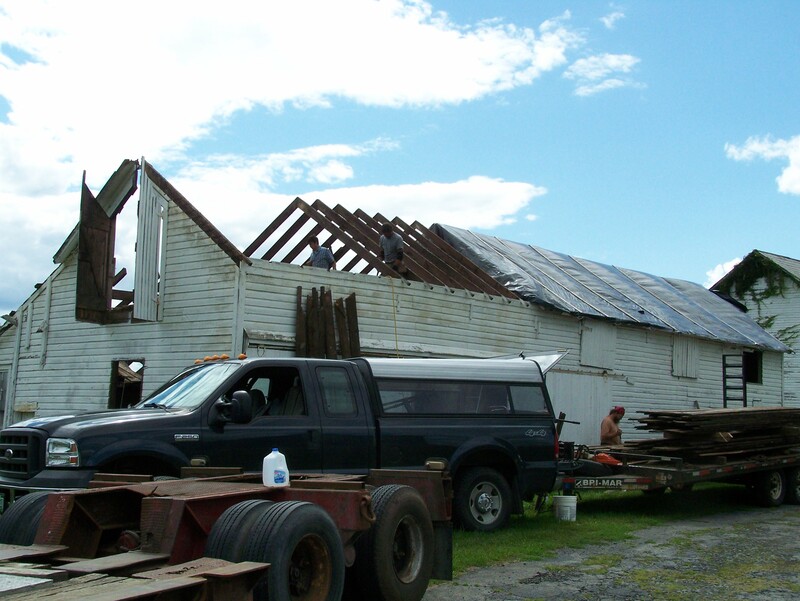 This barn stood beside a house built in 1804, but by our estimates, the barn itself was built several years earlier. 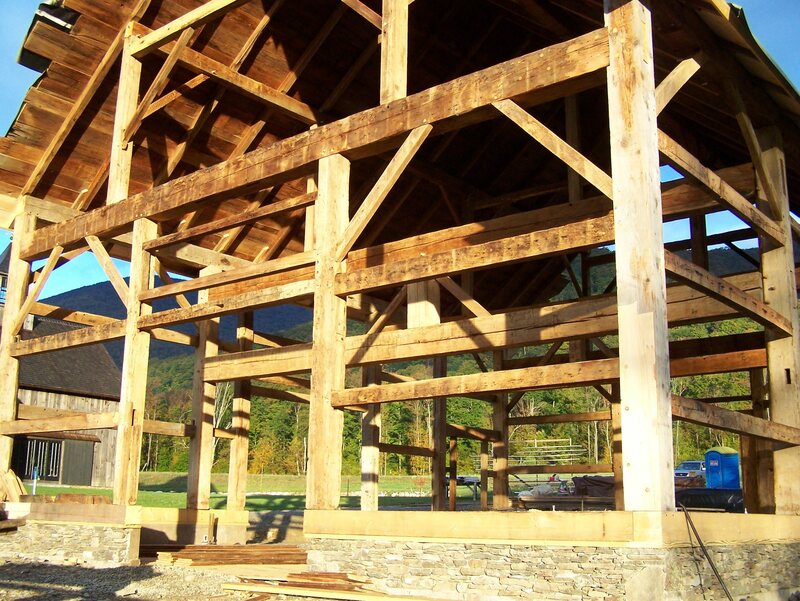 Here you can see the majestic, wide beams that make up this historic timber frame. 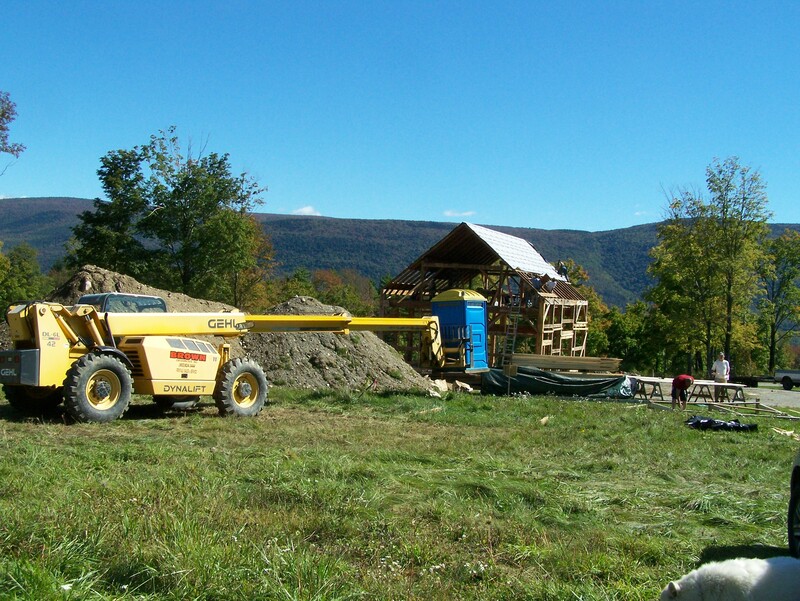 Interested in seeing a barn raising? We’ll keep you posted on the progress. 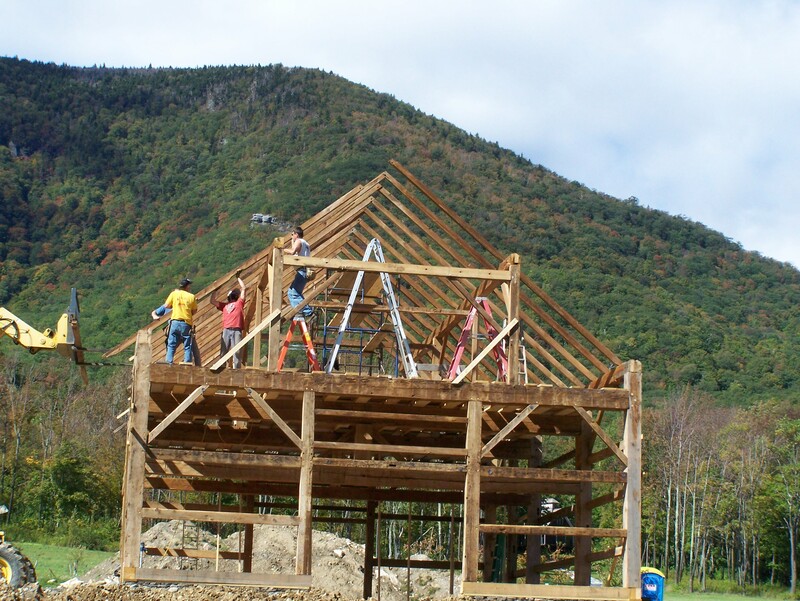 Please contact Green Mountain Timber Frames for questions about historic timber frame barn homes, old barns for sale, barn raisings and more!